After the brilliant invention of the Meomeo hand cream, made to attract cats to your side with its unique fragrance, another dreamy cat hand cream has arrived for cat lovers. 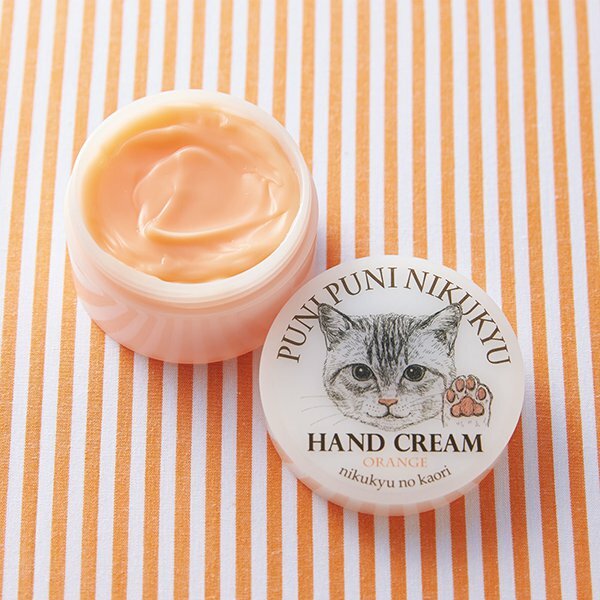 The new Punipuni Nikukyu hand cream (literally, soft cat paw), will magically make your hands smell exactly like cat palms, while working as a perfect moisturizer for your dry hands. The hand cream even comes in different colors of paw. According to the many people who’ve already tried it out, it appears that the hand cream smells 100% like cat paws. It’s not uncommon to smell cat paws in Japan, in fact, many cat lovers enjoy their scent in the morning, saying that they smell like sunflowers and bring you energy. Similarly, many take a whiff to feel refreshed after a stressful day of work. Now they can smell their own humans paws anywhere they go, and relish in the same effects. The Punipuni Nikukyu hand cream is sold for 1,050 yen (10.15 USD), and is available in three different colors. I’ve been sorting my books and came across the attached cover page (in a set of 12 Music Hall Songs covers). Most are undated, but 3 bear dates 1897, 1898 and 1899, so I guess they are all of about the same vintage. I wondered whether you were aware of your ailurophile (?) 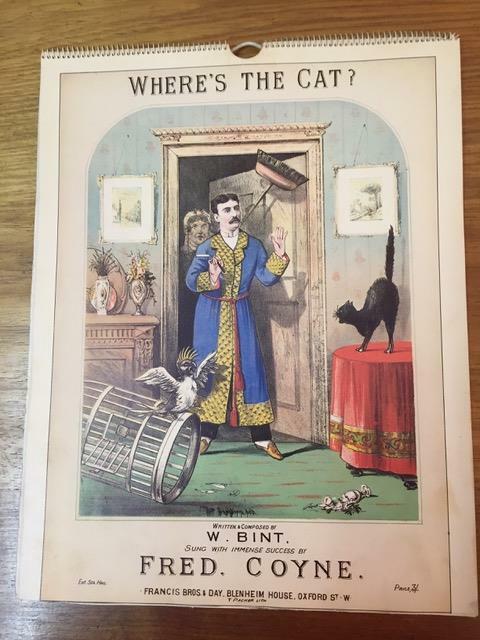 ancestor Fred, who was singing cat songs (with immense success) so long ago? “Sung with immense success by Fred. Coyne”. What does “immense success” mean? Why is the cat bristling? Is the woman with the broom about to bash the cat? Did he try to get the cockatoo? All is mystery. I found this cover, showing a person who may well be Fred. Coyne, on the UK’s National Portrait Gallery site. He appears to have had immense success with every song! However, I don’t think Fred. is a relative. 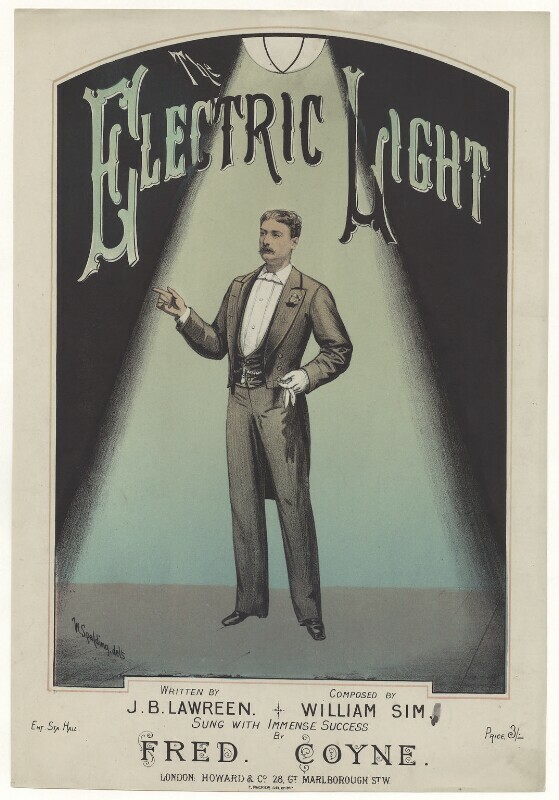 In Coyne Of The Realm, an article published in the summer 2005 issue of The Call Boy, the quarterly journal of the British Music Hall Society, Peter Chorlton said that Fred Coyne (1847-84), who popularised this song, rode one daily, and for some time, and actually came on stage riding it. Velocipede (literally fast foot from the Latin) is an antiquated (and now somewhat humorous) term for a bicycle, which at the time this song was written was still in its infancy, and included all manner of odd looking contraptions, most notably the penny farthing. which begs the question was he sponsored by a manufacturer? – as was George Leybourne (of “Champagne Charlie” fame). Actually, Coyne rode a tricycle; the song has lyrics by Frank W. Green and music by Alfred Lee, and is far from unique; at this time there were many songs and pieces of music dedicated to or inspired by the new invention. Okay, the first reader who finds the article “Coyne of the Realm” and sends it to me will win a signed paperback copy of Faith Versus Fact, embellished with a cat. This entry was written by whyevolutionistrue and posted on December 29, 2018 at 10:00 am and filed under abandoning faith, Caturday felids. Bookmark the permalink. Follow any comments here with the RSS feed for this post. Both comments and trackbacks are currently closed. Haven’t checked to see if he sings, owns a tricycle, or likes cats and ducks yet. I wonder what makes mail cats so various in their moods. Are the vicious ones being territorial, which might be excusable, or just ornery. My favorite is the first example where the cat brings the letter up the stairs, her reward nothing more than a little rub on the head. I love the geeky door mat at 1:45. Not a very flattering write-up! Oh dear, sorry, posted before I saw Matt’s contribution. Please ignore my post! Sounds like Fred Coyne was the Michel Bublé of his time. It certainly doesn’t seem related.